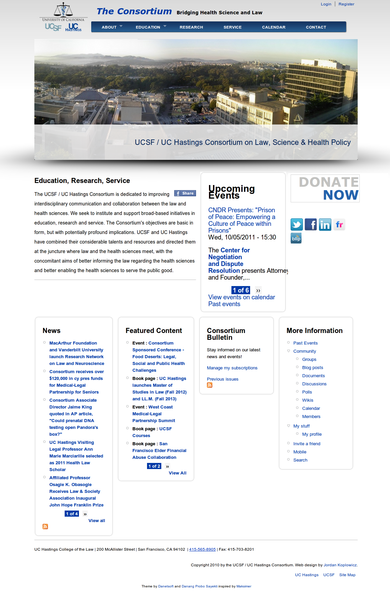 The Consortium is an educational non-profit associated with the University of California. I was hired to create a new website that would provide information about the Consortium, research, and upcoming events. The website was a place for teams of scientists and lawyers to come together for research using Organic Groups. In addition, I consulted on a wide variety of other business matters, including print media, photography, and office design. This site is not currently online.